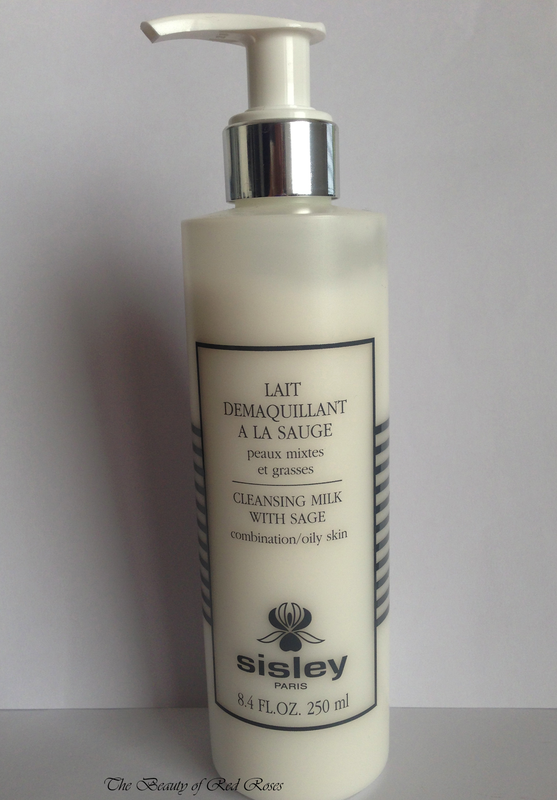 Sisley Cleansing Milk with Sage (A$120/250ml) is the most expensive cleanser I have ever purchased and I should add it was worth every dollar. Sisley Cleansing Milk contains the core ingredient of Sage extract and the cleanser is recommended for combination and oily skin types. The cleanser aims to purify the skin by deeply cleansing the skin to remove make-up, skin impurities and excess sebum. As with most milk cleansers, water is not required. I've never cleansed my skin without using water, so I was quite hesitant to use the product without water. The Sisley representative I spoke to mentioned that milk cleansers do not require water, since the formula is a milky and relatively thick (not too thick not too thin) lightweight fluid which can easily spread across the skin. To use Sisley Cleansing milk with Sage you just need to massage one full pump of fluid, which is about the same size of a 10 cent coin, directly onto your skin and then wipe it off using a cloth or facial tissue. I prefer to to use lukewarm water to rinse off the cleanser and residual makeup as it makes me feel very refreshed. I use Sisley Cleansing Milk with Sage as part of my nightly cleansing routine where I feel that my skin requires complete removal of all makeup and impurities from the city atmosphere. The scent of the formula is quite subtle and is purely indulgent, making me feel so revitalised. The texture of the formula feels very smooth and is extremely gentle on my skin. My skin feels soft and smooth after cleansing and I feel that my skin has become clearer and more 'glowy'. Each bottle contains a huge 250ml of product and each pump dispenses a small but adequate amount for each use, so this amazing beauty will last me a good few months! What are your thoughts on Sisley Cleansing Milk with Sage? Do you think this cleanser will be suitable for your skin type? Have you tried any skincare products from Sisley? I would love ti try it on day. Definitely worth trying out if you have the chance. The cleanser is a little out of my range too, but I just couldn't help myself. It's great when Sisley have their GWP offer as you would get the chance to try samples of a few of their products.